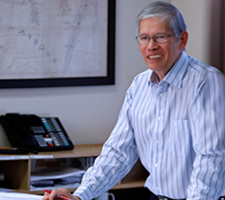 A Project Director with 35 years’ experience in surveying and land-development projects, Rodrigo started in the business when land surveyors relied on slide rules, logarithmic tables and hand-drafted plans. He is a condominium specialist who has embraced modern technology, and who still considers land-surveying-plan preparation an art. The beauty of working at Krcmar is that we have such a cohesive, yet diverse, team. If anyone is stuck, there is always someone to ask for help.